mIRC - You can choose to download it here or at download.com. This will be used to hold clan meetings. It is your responsibility to be at clan meetings when it is announced. Be sure to check the webpage and forums at Bid For Power and ours to find out. The clan meets at: irc.enterthegame.com in channel #Bumon. Son Gohan - Kryptonite Music Vid - Damn long title! Who cares? This music video ROCKS! The best one I've ever seen! Definite download. Finally!! I have collected enough midi files for the clan! I think you will all enjoy these and will use them for BFP if you don't like their music for some reason. It took me a while to find these and hope that you will download them on to your own server if you want to put them on your page because you never know when a server could crash. 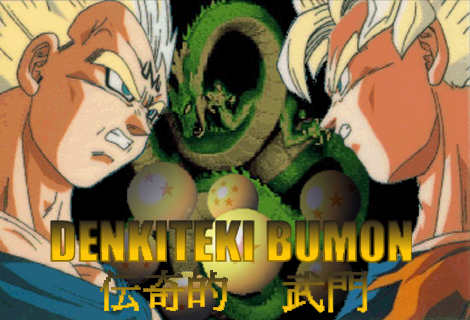 Hikari No Willpower - A Trunks Theme. Very good. My favorite. DBZbsGoku - Yep. You guessed it. A Goku theme. Dunno where it came from though. DBZ2bVegeta - Man this hard! Uh.. Vegeta! Yeah I got it right! Tapion's Theme - The tune Tapion plays on his flute. With extra stuff added that I didn't want. Oh well. Gohan - A tune Gohan whistled to Piccolo in Movie 4. Chala - The Japanese Intro. Better than the Rock the Dragon crap by FUNi. We Gotta Power - One of my favorites! This is an awesome midi file! DBZ Return - Don't know why it was named DBZ Return. The music in the file is "Once We Were Angels." DBZ Theme - This one is... weird. It's liked ripped off of the Japanese Intro but its not... you really gotta listen to this one to understand what I'm trying to say. Really short too. 58 secs. Dragon Ball GT Ending Theme 1 - Ending to the first season in Japan I think. Dragon Ball GT Ending Theme 3 - Ending to the third season in Japan I believe. Bid For Power is ©1999-2001 Bid For Power team. Thanks to Gohan11 for his banner. No part of this site may be reproduced without owner's consent and authorization of those parties involved in making this site.